Frances Marshall Boykin III was born in Taft, Texas on January 7, 1925, to F.M. Jr & Ruth Henry Boykin. Marshall was educated in Taft schools, graduating in May 1942. Anxious to join the War effort, he pleaded with his Dad to permit him to immediately enlist. His Dad told him he would do so if he enrolled in college in the fall and applied for Officer's Candidate School. He then briefly attended University of Texas at Austin before reporting to duty with the U.S. Navy as an officer candidate. While attending midshipman school at Notre Dame University, he met his wife Helen after introducing himself to her on the dance floor as her 'future husband' (she says her immediate thought was, 'what a lame line'). After being commissioned, he was assigned to duty in the Pacific theatre. Before he reached his destination, Japan surrendered, and he was stationed in Japan as part of the occupation force. He was released from active duty after completing his tour in Japan. He then served in the Naval Reserves for several years. When he returned from Japan, he married Helen in South Bend, Indiana. The couple then moved to Austin where he continued his education at the University of Texas. He received a B.A. and then a L.L.B, graduating with honors. He and Helen moved to Corpus Christi in January 1950, where he began his practice of law, joining the firm of Tarlton & Hale. In 1956, he joined the firm of Wood & Pratt which became Wood, Boykin & Wolter, the firm he belonged to until he became 'Of Counsel' in 2013. 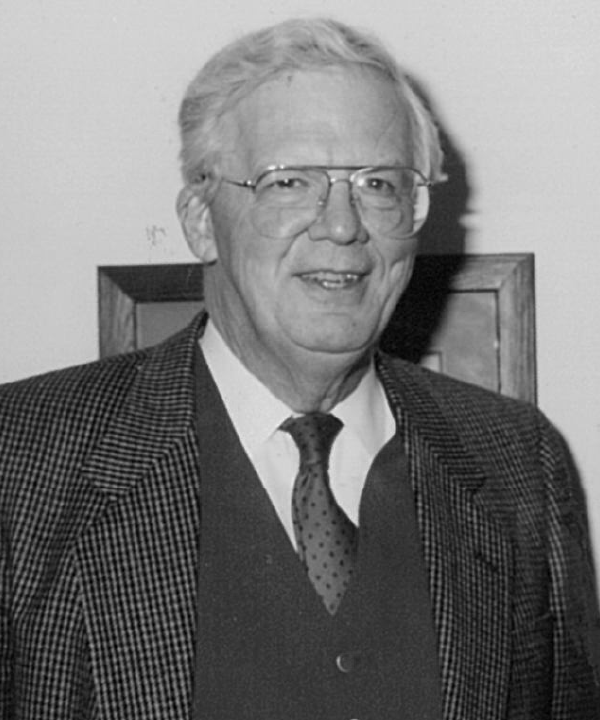 He was Life Fellow of the Texas Bar Foundation and life member of the American Bar Foundation. During his practice, he served as President of the Nueces County Bar Association, predecessor to the Corpus Christi Bar Association. He was selected by his peers to receive the Cecil E. Burney Humanitarian Award and was the first recipient of the Judge Nye Professionalism Award. In 1964, he was elected by the Nueces County Bar Association to be special, interim Judge of the 94th District Court . In the mid 1970's, he was appointed to the board of directors of the Dallas Federal Reserve Bank. He was selected as 1993 'Boss of the Year' by the Nueces County Legal Assistants' Association. Marshall was proud of and committed to Corpus Christi. He was active in the Corpus Christi Chamber of Commerce, serving as its president in 1978. He was a member of several civic organizations, including Corpus Christi Rotary (as a Paul Harris Fellow), the Little Theatre of Corpus Christi, Corpus Christi Botanical Society, and the United Way. Marshall was a man of many talents and interests. He authored many poems, essays and works of fiction and a biography of Brother Leo. His writing, particularly his poetry, brought much joy to his children and grandchildren. He acted in local amateur theatrical productions, often sharing the stage with family friend Sammy (Mrs. Norman L.) Utter. He enjoyed sketching and painting with water colors. He loved gardening and bird watching, taking particular interest in native South Texas plants and birds. He was an avid handball player and played regularly into his sixties, often with his friends the late Norman L. Utter and Robert Wolter. He was a charter member of Parkway Presbyterian Church where he served as at various times as a Sunday school teacher, scout leader, deacon and elder. One of his favorite Bible verses (and the title of one of his poems) is '1 Kings 3:9- A servant let me be'. Francis Marshall Boykin III was a servant. Marshall was deeply committed to his family and faith. He was an exemplary son, brother, husband, father and grandfather. Francis Marshall Boykin III passed away on July 20, 2014, in his home surrounded by his children and his beloved wife, Helen Boykin, of 68 years.